Whether you are writing press releases, blog posts, or web content, it’s important that you have a decent grasp on some basic rules of punctuation. No one’s asking you to be a grammar god – after all, the days of college term papers are long gone. However, there are certain rules that simply make your writing more readable. So today I’d like to focus on the comma. It’s one of those little punctuation marks that too often is just haphazardly thrown out on the paper with no real purpose. Sometimes it’s used where it isn’t necessary, and other times it is omitted. Now, you could get out your old grade school grammar book and try to undergo a quick refresher on those comma rules – but that will prove more frustrating than anything else. 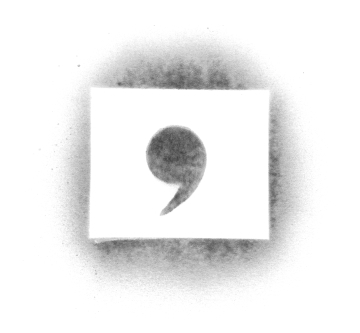 Instead, I’ve narrowed down the comma rules to the ones you will find most useful in your business writing. If you combine two full sentences with a conjunction, you need a comma. What makes a sentence? A subject and a verb. In other words, an object and an action. And if you have two complete sentences, you must combine them with a conjunction (the most common of which are and, but, and or). In this case, there needs to be a comma prior to the conjunction. Example: John writes press releases, and Jill writes business blogs. If you begin your sentence with an introductory phrase, you need a comma. These phrases often begin with words such as after, although, when, if, because, and even. A comma should separate them from the actual stand alone sentence. Example: Although I enjoy writing press releases, I need assistance in sending them out to news outlets. If you include a series of nouns in your sentence, set them off with commas. A list of items in a sentence can get tricky without correct comma usage. Use commas to separate each item in the list. Now, whether you use a comma prior to the last item is up to you – there’s no hard rule on it. Example: Press releases, blogs, and web content are all useful to your small business. If you include extra information, set it off with commas. Sometimes you will include extra description of a noun in your sentence. I call it “extra” because it simply is not necessary. If you removed it, you’d still have a good, sensible sentence. Set this information off with commas. Example: Bill, who is a pretty decent writer, handles all of my business blogging needs. If you have a quotation in a sentence, you need a comma. Some people have a habit of just adding quotes in the middle of a sentence without setting them off with commas. This doesn’t work. And if your quote calls for a comma at the end, make sure it’s inside the quotes. Example B: “I really need to get this press release sent out,” Bill commented. Yes, there are more comma rules out there, but I’d say these are the most important. Agree? Let me know.